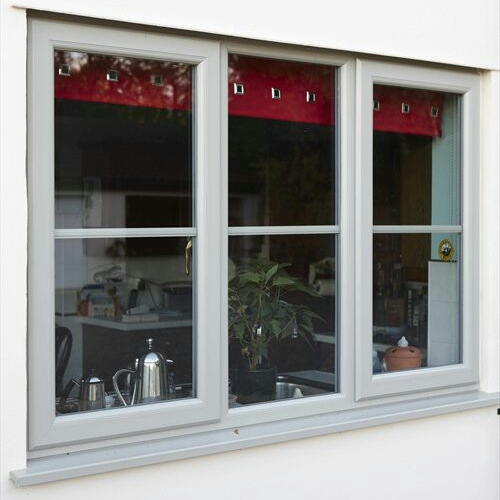 Backed by the assistance of our highly experienced professionals, we have been able to bring forward a qualitative Aluminium Window Fabrication Service. Our organization is backed by well-equipped infrastructure and technology to execute this service in an excellent manner. This service is carried out by our adept workforce using the best grade tools and modern techniques. The provided service is highly appreciated by our clients owing to its promptness and timely execution. Further, clients can avail this service at reasonable price. We “S. R. Ceiling Solution & Interiors” are a prominent firm and engaged in Wholesale Trader a wide range of of False Ceiling Grid, False Ceiling Gypsum Board, Ceiling Tiles, etc. We also Provide Service of Glass Railing Work,etc. We also render qualitative Aluminum Fabrication Service in the best possible manner. We are a Sole Proprietorship company which is incorporated in the year 2006 and constructed a large and ultramodern infrastructural unit that is situated at Gurgaon (Haryana, India). Managed under the direction of our mentor “Mr. Rajneesh Chaudhary”, we have gained a strong and noteworthy position in this sector.